Home » News » Features » 8 Bollywood stars whose Stardom is in serious trouble! 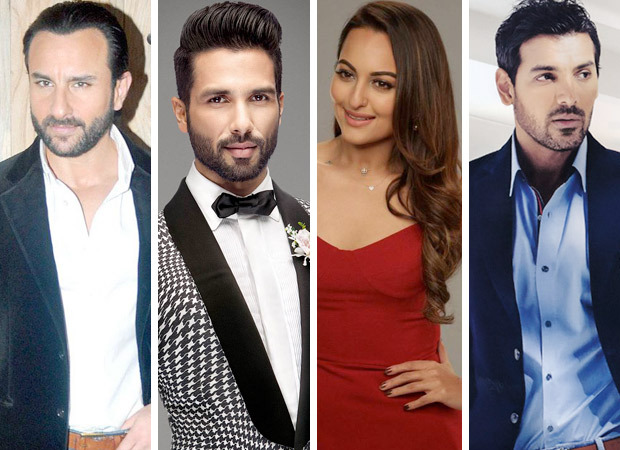 8 Bollywood stars whose Stardom is in serious trouble! The recent brouhaha over Saif Ali Khan’s next film Kalaakandi will now be streamed on Netflix but not released in theatres shows how producers are now jittery about their products when it comes to economics. Director Akshat Verma had made the hit Delhi Belly under the aegis of Aamir Khan Productions six years ago. But now, with Saif considered unsafe (pardon the seeming bad pun) as a solo hero after Chef became a mega-flop, the producer struck up a deal for this dark, niche film on the prestigious streaming platform. Interestingly, Chef was helmed by Raja Krishna Menon, whose earlier film Airlift (with Akshay Kumar) was a huge hit and netted more than Rs. 100 crore in India. And so the conundrum is: are big stars needed for directors to come up with hits? Or are good scripts and great marketing (which was significantly absent with Chef) enough? Or are both factors important? 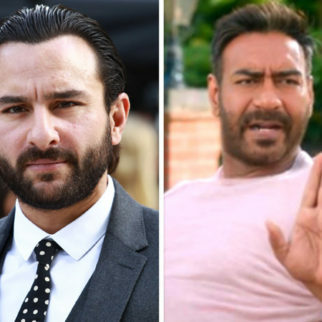 Two actors who are up there as stars, Ajay Devgn and Varun Dhawan, have recently stated that stars can only pull in audiences in the opening day or weekend—after that, it is always only the film. Films make stars, they aver, not the other way round, they say. After any star signs a film, he or she does not have any say in their content. And while directors may or may not suffer professionally after a flop, any actor who coincidentally does a bunch of such movies is soon in jeopardy. Here, then, are 8 such stars who need to choose better, ensure the right mov(i)es and make serious efforts—pronto!—to shed the cobwebs around their vision for preserving their endangered stardom. The actor has never been high on hits in a 25 year-career, but in a more forgiving era where talents and professional behavior could overrule commercial compulsions, this was fine. Today, it matters that Saif’s last hit was Race 2, that too with John Abraham (who was in a better position then) and a central role for Deepika Padukone, then at the commencement of her peak. Today, his record is inevitably compared with the Khans, with Akshay Kumar and with Ajay Devgn, all from his age group. After Bullett Raja, Humshakals, Phantom, Happy Ending and Rangoon (despite his interesting performance), it has been a consistent no-show for him. Go Goa Gone, Saif’s co-production with another robust act as a half-Russian, is a cult film now but had never made it big when released. Honestly, this is the phase when Saif must choose better than films with little face value like Baazaar. The fact that Race 3 is being made without his character is sheer bad luck. 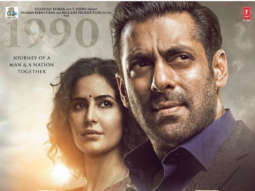 As of now, the man who stole the show in Omkara (a commercial disappointment as Vishal Bhardwaj has belatedly admitted) and Ek Hasina Thi (a debacle too) must take steps very cerebrally. Does anyone even remember Shahid Kapoor’s last success? Sadly, one has to go a full back for his last genuinely successful film, Jab We Met! 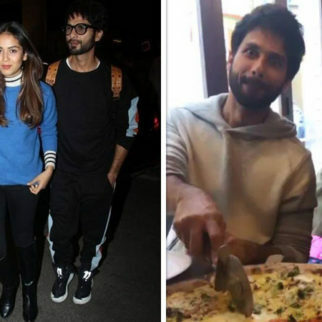 A plethora of flops have followed, and no whitewashing of box office figures or window-dressing of facts can change the actual fates of Shahid’s few ‘touted’ hits like Kaminey, Haider or Udta Punjab. Yes, R…Rajkumar probably recover costs, but it was not a movie to cherish. And how long can survive on branding, or on niche subjects or with the occasional good performance? After all, pitted against them are fiascos of the scale of Kismat Konnection, Chance Pe Dance, Mausam, Teri Meri Kahaani, Phata Poster Nikhla Hero, Shaandaar and others—and above all Rangoon! Shahid is likely to get his first hit after 11 years with Sanjay Leela Bhansali’s Padmavati, but whether Ranveer Singh and Deepika Padukone will let him get positive mileage is a moot point. He had made a wise choice in Shree Narayan Singh’s next, and must toe the mainstream rather than niche or dark line to revive his flagging career. In the first three years of her career, Sonakshi Sinha managed four 100 crore-plus grossing films, but her choice of repetitious roles undid her sway. Major flops like Bullett Raja, Lootera and Once Upon A Time In Mumbaai Dobaara added to her woes, but then came a part-respite in her 5th 100-crore film, Holiday. However, her role in the film was again stereotypical, and was followed by calamities like Action Jackson and Tevar. After that, in a reinvention mood, she chose heroine-centric characters but without ensuring good scripts. The results were Noor, Akira and even Force 2. Unless Ittefaq changes things for her, Sonakshi, despite her fan following and good standing as a person is in trouble. He has grown beyond the teakwood limitations models are supposed to have, has even displayed a fantastic flair for comedy in Housefull 2, but sadly, John Abraham has never been a box-office winner in solo leads. But is that his fault? No, we think, it is just that John does not choose the right scripts and is conned into movies like Rocky Handsome and Force 2. While his next home production Parmanu: The Story of Pokhran looks like a winner, John must, however, remember that films should be chosen not just on their facilitating his core skills at tough action but must also have substance and soul besides entertaining audiences! Nine years down the line, John has to learn why his star-less production Vicky Donor worked so well! 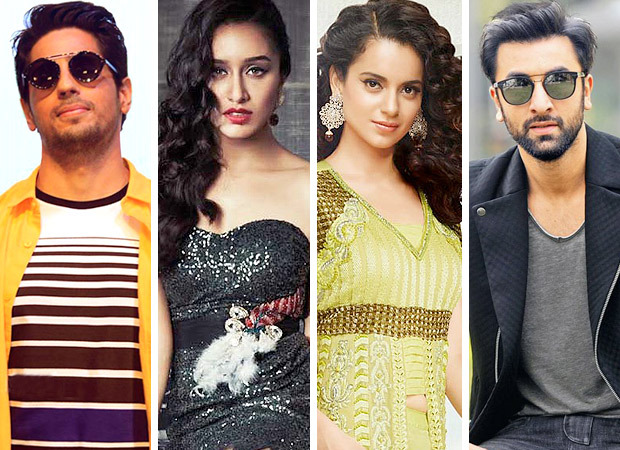 Among Gen-Y names, outsider Sidharth Malhotra seems to have, as of now, lost the race to his contemporary industry insider kids Varun Dhawan, Arjun Kapoor and Ranveer Singh. This is plain bad luck, as his latest release A Gentleman: Sundar, Susheel, Risky was an interestingly narrated thriller with all the commercial ingredients. The wannabe ‘with-it’ tenor of the film as well as its off-target marketing did it in, complete with the misleading and modern title. Sidharth also has had flops in Brothers despite Akshay Kumar (bad luck again!) and in his atrocious solo film Baar Baar Dekho. Kapoor & Sons did decent business, but with the show stolen by Rishi Kapoor, Fawad Khan and Alia Bhatt, it was never a Sidharth film, credit-wise. There is also too much of (producer) mentor Karan Johar in his filmography, which not only hints that he does not get offers outside but also suggests that he accepts any film offered by the man responsible for his career without checking if they have the audience-resonating caliber of Ek Villain. However, even more than the remake of Ittefaq releasing this week (which has scene-stealing performer Akshaye Khanna as well as producer Karan again! 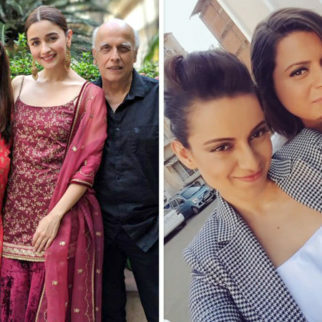 ), it is Neeraj Pandey’s Aiyyary that is likely to pull him out of this blue phase. 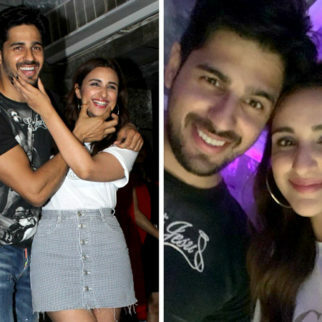 The petite talent went overboard and suddenly started making all the wrong moves after having a dream run following Aashiqui 2, ABCD 2 and Baaghi. At that point, Haider only seem one faux pas (even as a role, she had nothing much to do in it). But when she followed that with total duds like Rock On 2, OK Jaanu, Half Girlfriend and, above all Haseena Parkar, we wonder whether at all she assesses a script (or what passes for it) and also if she is interested in retaining stardom. Her smarter contemporaries Alia Bhatt and Parineeti Chopra have already stolen a march on her. Now, now, here is a story of designer doom. 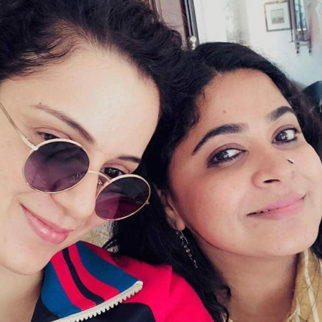 Doing and saying all the wrong things at all the wrong times in all the wrong places has cost Kangana Ranaut even more than her unerring choice of bad films. Forget the other earlier catastrophes (like Revolver Rani! ), but when you do films of the “level” of Katti Batti, Rangoon and Simran and yet say that you are the next big thing, claim that you take fees comparable to the highest-paid actress, and simultaneously rub so many people and the industry at large the wrong way, you have got disaster coming. For most filmmakers and all the trade (unless Aanand L Rai announces Tanu Weds Manu 3! ), Kangana is commercially passé already, and definitely not a clean word! The budget of the 3-D Brahmastra (a far wiser choice of title than the earlier urban-centric Dragon!) 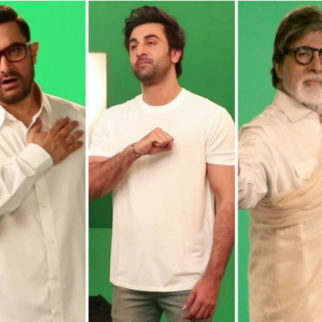 must match its business potential, but, that apart, Ranbir has had a nightmare run since the same director Ayan Mukerji’s blockbuster Yeh Jawaani Hai Deewani 4 years ago. But for the unique but mammoth-budget novelty item Jagga Jasoos (that understandably yet regrettably nosedived), Ranbir has been choosing successive terrible films in Besharam, Roy, Bombay Velvet, Tamasha and even the so-called “hit” Ae Dil Hai Mushkil. Rajkumar Hirani’s Sanjay Dutt biopic may be a cream and dream assignment, but whether it translates into a clean hit that will benefit his stardom remains to be seen—he has nothing left to prove now as a brilliant actor. Ranbir must now destroy the “offbeat” monster (dragon?!) within him and emerge as a true-blue descendant of Prithviraj, Raj and Rishi Kapoor!